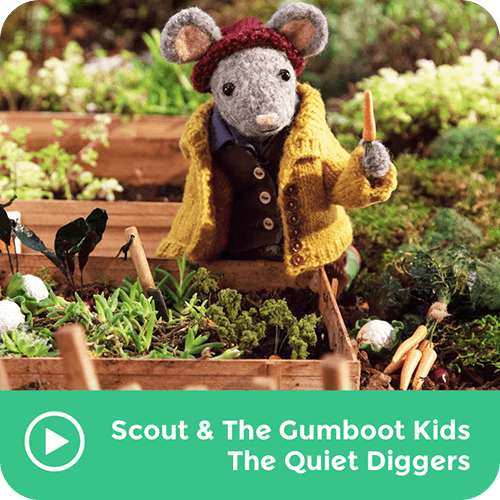 You and The Gumboot Kids investigate a furry friend of Scout’s that is very quiet and loves to dig. Scout's three clues: carrot, hutch, furry ears. After you've solved the mystery, take a Mindful Moment to observe and appreciate nature.